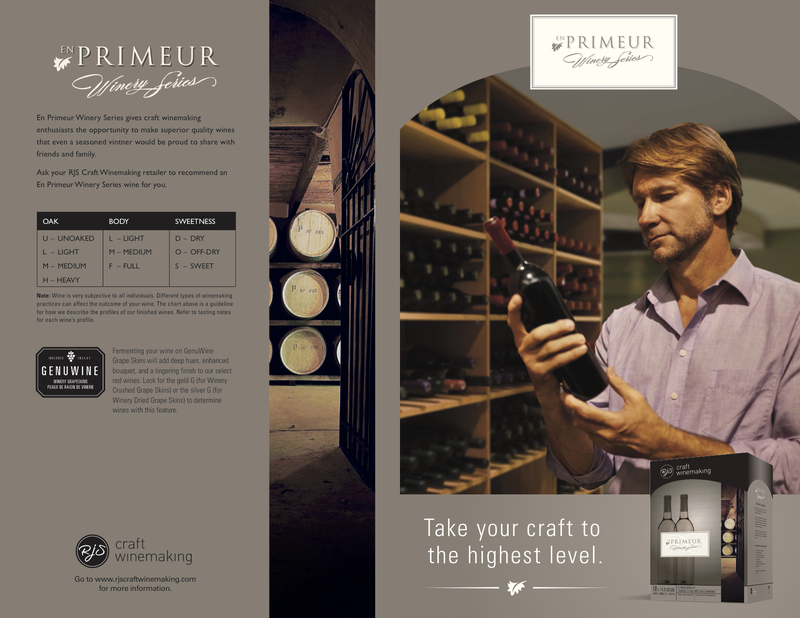 We recommend aging your En Primeur Winery Series wines a minimum of 3 months for crushed grape skins, and 12 months for dried grape skins. 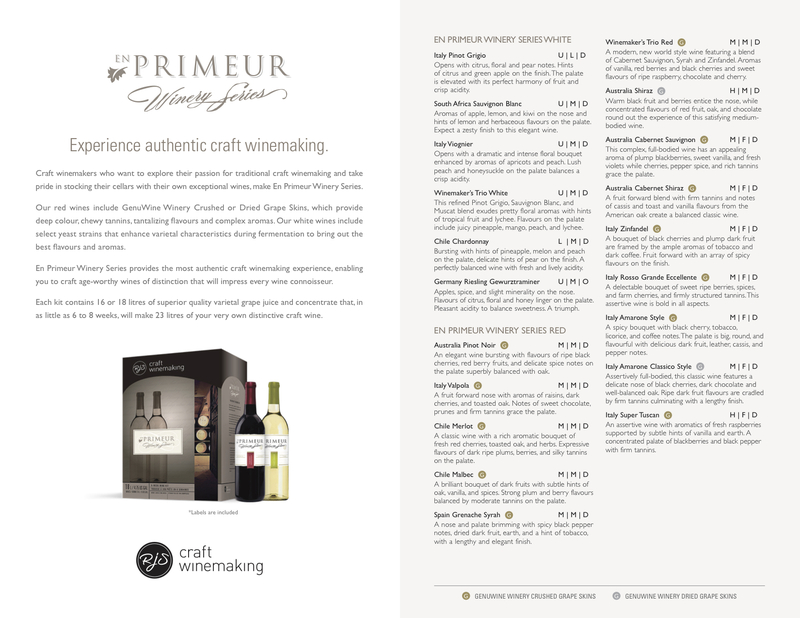 Each craft wine batch yields 30- 750 ml bottles. Price includes everything except bottles. Prices subject to change without notice.